The weather was perfect; crystal-clear skies, low 80’s, and a slight breeze. The juice was flowing; from the barrel, and from the bottle. 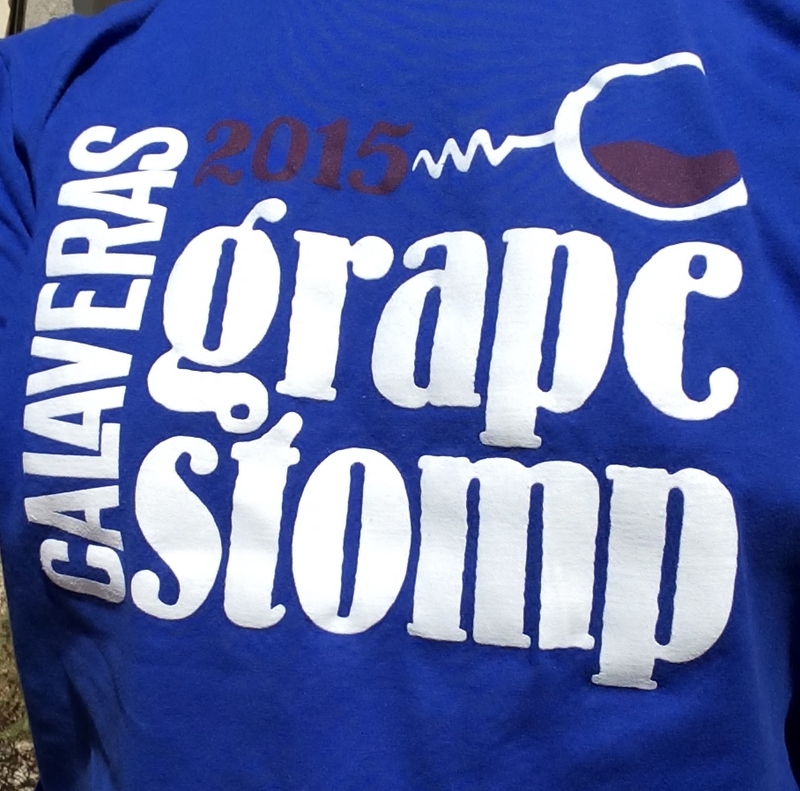 Welcome to the 2015 Calaveras Grape Stomp, in Murphys, California! 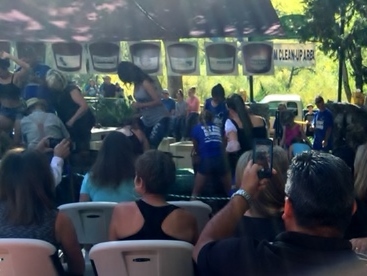 Held the first Saturday of every October, in conjunction with Gold Rush Street Faire, this year’s Grape Stomp held special meaning, as Calaveras County residents begin the recovery and rebuilding process following the devastating Butte fire. The Butte fire raged for nearly a month, burning 70,868 acres and destroying 475 residences. Mandatory evacuations displaced thousands of people, and disrupted the local economy, which is highly dependent on tourism. 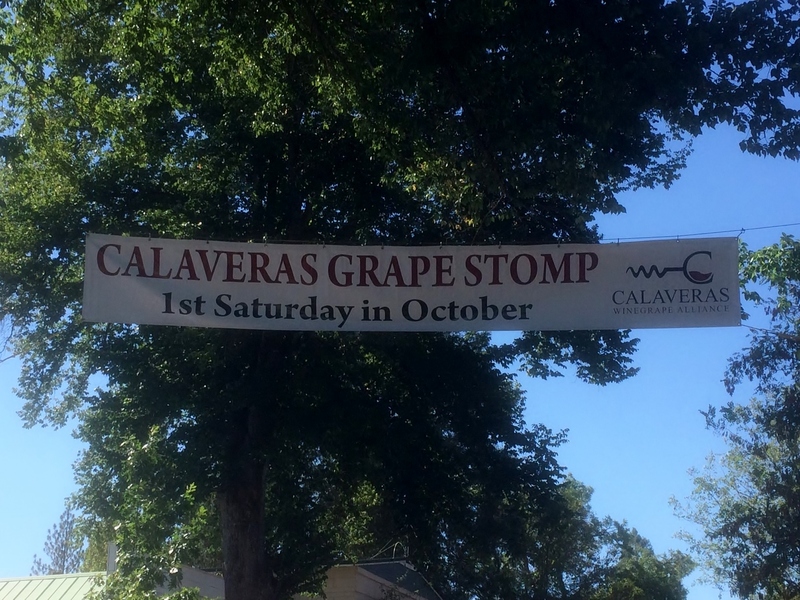 The Calaveras Winegrape Alliance produces the annual Grape Stomp as a benefit for local community groups. This year’s beneficiary is the Disaster Relief Fund for the Butte Fire. 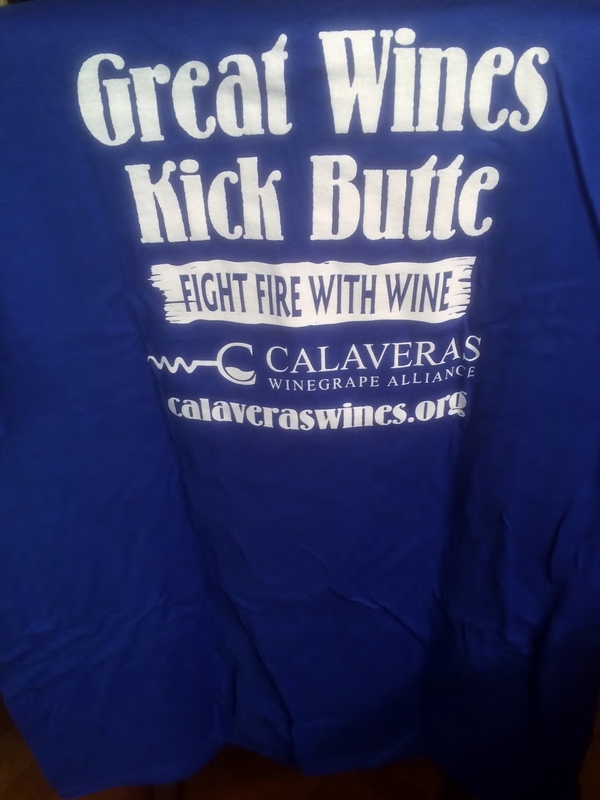 Proceeds from t-shirt sales, silent auction, and wine tasting will help to support those impacted by the fire. 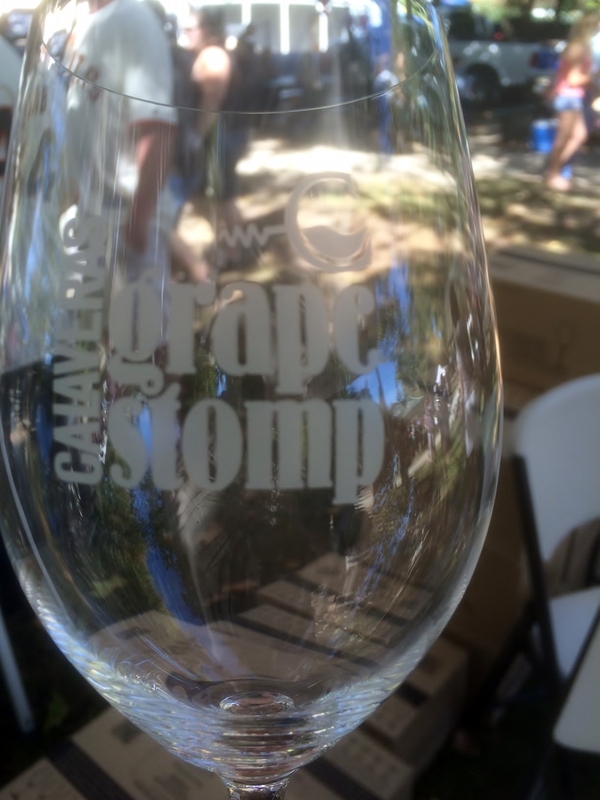 The Grape Stomp takes place in the Community Park in picturesque Murphys, “Queen of the Sierra” and heart of Calaveras County wine country. 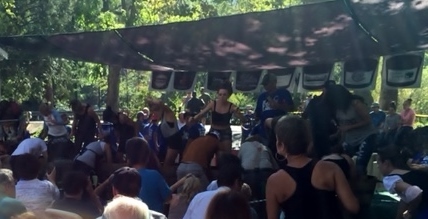 The competition pits teams of two in a juicy, sloppy, purple race to see who can extract the most juice from 25 pounds of grapes in three minutes. The teams consist of a Stomper and a Swabber. The Stomper’s job is self-described. The Swabber collects the pressed juice. It’s a raucous, high-energy event, with many teams dressed in costume. The fun isn’t limited to the stage. 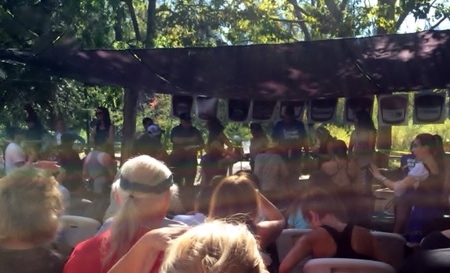 There is a silent auction, and of course, wine tasting. 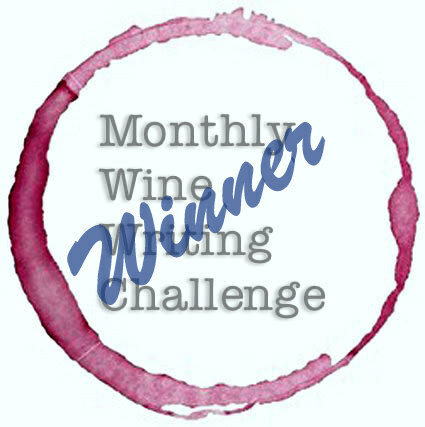 $15 gets you an etched Riedel glass and a coveted wrist band, entitling the wearer to sample the wares of the more than two dozen wineries in the area. 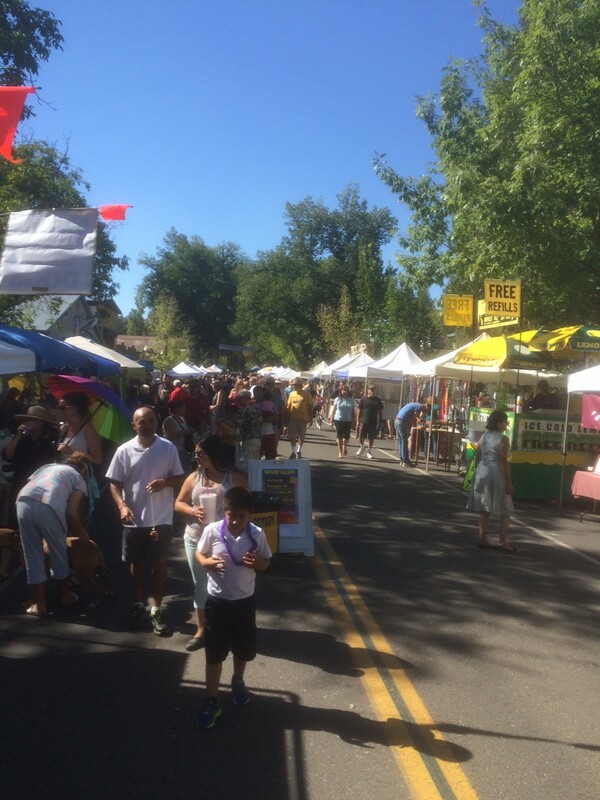 Up the hill from the park on Main Street, the Street Faire delights with arts and crafts, music, food, and even a Mai Tai booth! Unlike street fairs and festivals in more populated areas, the Gold Rush Street Faire in rural Murphys was well attended, but not crowded. Murphys is an historic Gold Rush town. In recent years, the regional wine industry has sprung up, and is quite successful. There are some 27 tasting rooms along Main Street, in the space of just a few blocks. The wine is sensational, and the people are friendly and inviting. This is also, by far, the most dog-friendly community I’ve ever visited. Most of the shops and tasting rooms welcome four-legged guests, and many restaurants feature outdoor seating to accommodate Fido. Be sure to stop in at Murphys Dog Store (281 Main Street, Suite B) for concierge-level service and a great selection of dog supplies. 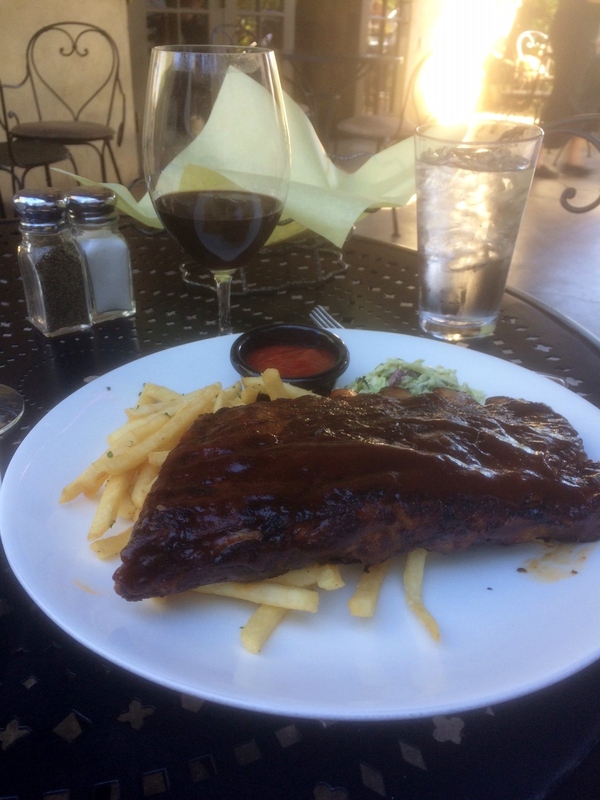 The Slow-Smoked BBQ Spareribs with garlic fries and homemade cilantro slaw was amazing, and paired nicely with a glass of Klassen “Big Mouth” Syrah. 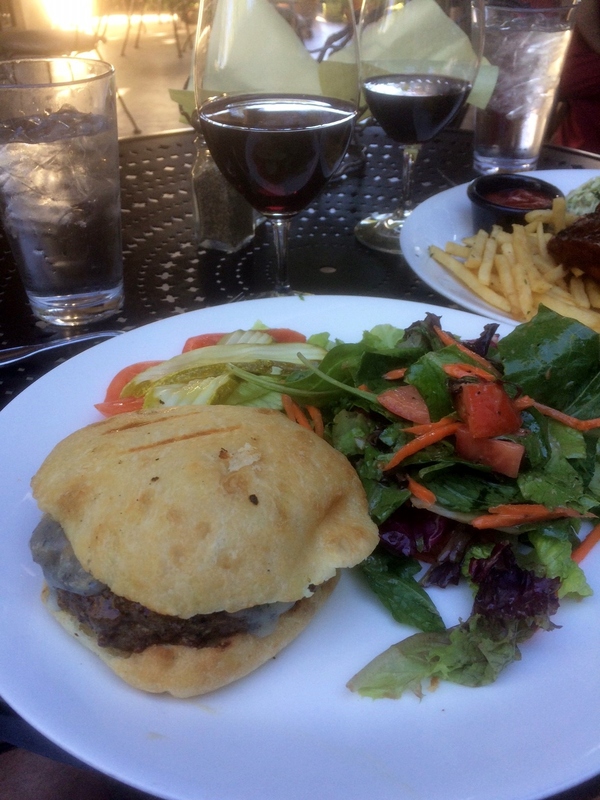 Likewise, the Chef’s Burger – topped with melty blue cheese and caramelized onions, wi th a side salad (meager attempt at eating healthy) was amazing! I gave up trying to hold it in my hands; this is a “knife and fork” burger! My glass of Black Sheep Zinfandel washed it down beautifully. Too full to even look at the dessert menu (but check it out online…we’ll be back! ), we meandered back to the car for our drive home. Bring cash. T-shirts and tasting tickets are cash only. There are no banks in Old Town Murphys. The nearest one is about a half-mile walk. There were reports of ATMs in various locations in town, but I was not able to find one. If you are staying overnight, be sure to wander Main Street after the Street Faire has folded up. Murphys, like many old Gold Rush towns, is full of history. Check out the Gold Mining museum at Ironstone Vineyards. It’s really interesting! Sounds like such fun! Wish I were closer. It was a lot of fun. I plan to go again next year! Maybe even an overnight trip! Wow. I’m in for next year. I’ve been to Murphys and it’s simply lovely. We could make it an Archangel event!